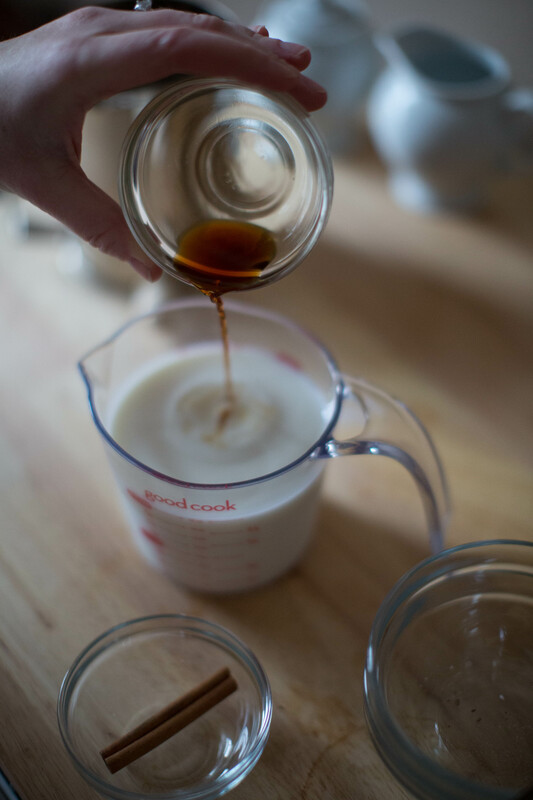 Add the vanilla extract to the milk…. 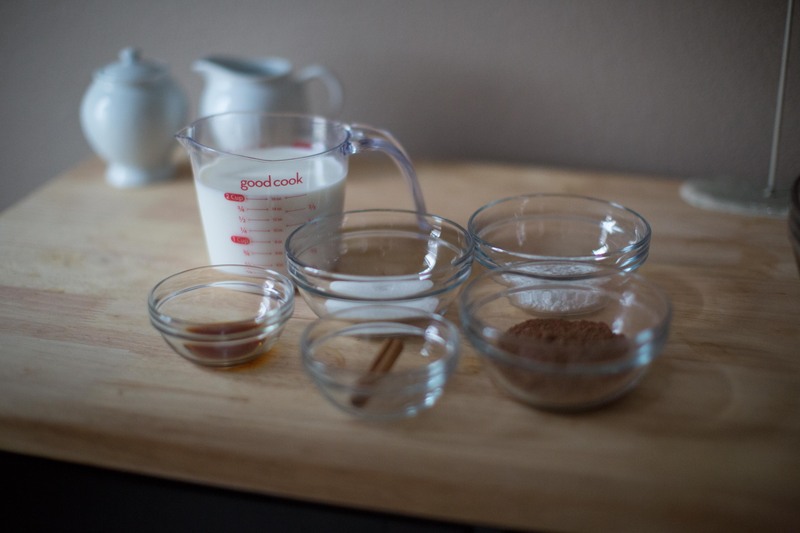 On medium heat, add the vanilla-milk mixture to a medium saucepan. 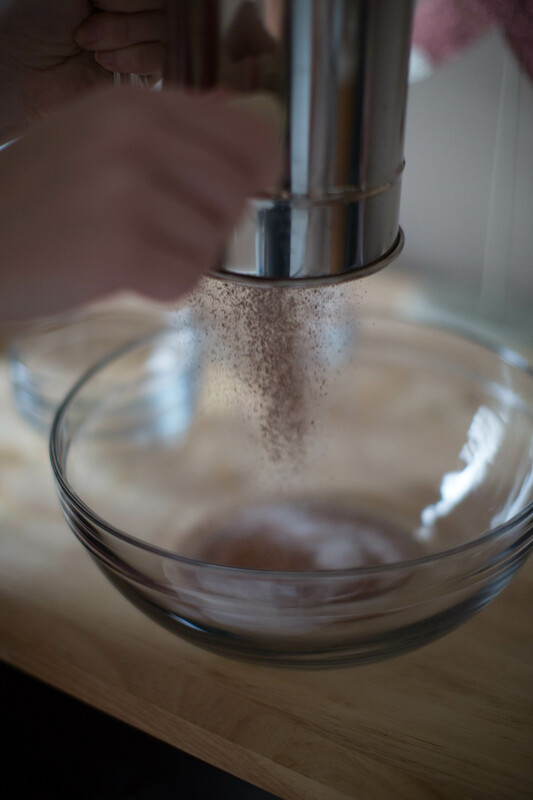 Then slowly stir in the dry ingredients and never..stop…stirring. 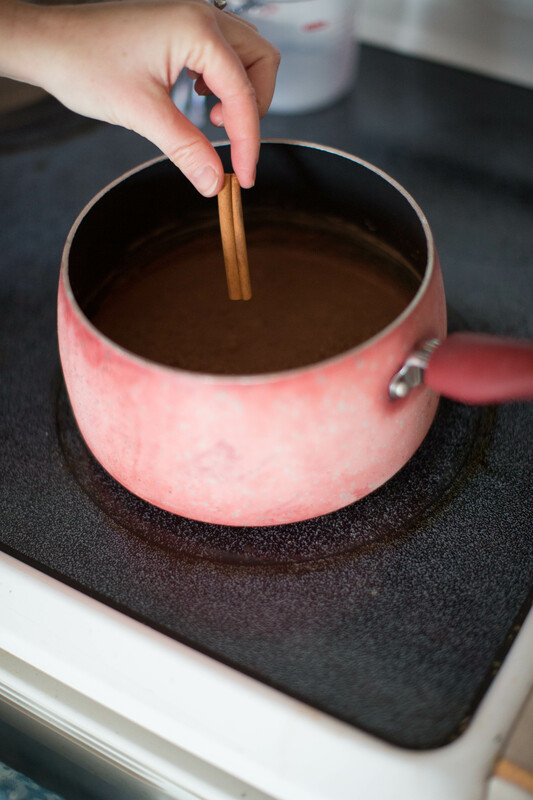 Once the mixture is all combined, add in the cinnamon stick and let it infuse the hot cocoa with the holiday spirit! This is great time to turn on your Christmas lights, blast the Christmas channel on your Pandora Radio account, and to continue stirring. Seriously though…that cinnamon stick really does do the trick. Sean loves this recipe too, but he likes less cinnamon than I do. I recommend tasting the cocoa as you continue to stir and remove the cinnamon stick once it tastes perfect to you. When it’s up to me… I’ll leave that bad boy in there for good. I love cinnamon! 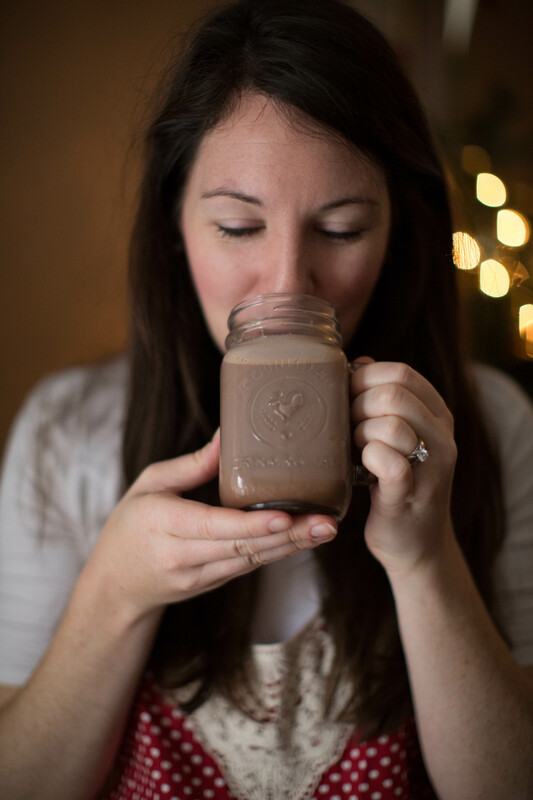 Once it tastes juuuuust right to you – simply pour, sip, and smile. I hope you enjoy! Let me know if you give this recipe a try and like it too!